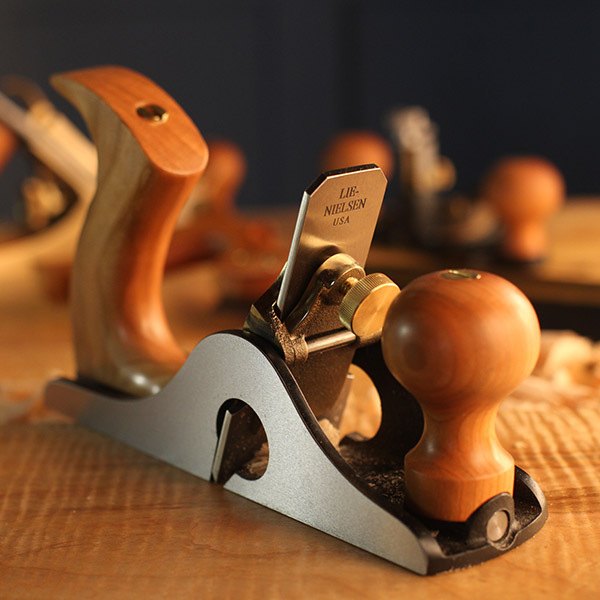 A planed finish is always preferable to a scraped finish, but scraping planes are used for finishing woods that do not yield well to the hand plane. A scraping plane is more comfortable to use than a hand scraper, and the plane body helps you keep the surface you are scraping flat. They can be tricky to master, however. To make it easier, we do not recommend using a burr, at least until you’ve learned how to use the tool. These tools will cut very well with the blade sharpened like a plane blade. All of our Scraping Planes have thick blades, beveled at 45° for easy sharpening. The blades are soft enough to burnish, but hard enough to hold an edge well. Sharp, set properly, and used with smooth, light strokes, these tools will produce a final finished surface on the most difficult hardwoods. Click here to view our YouTube video on Scraping Planes Part 1: Types and Setup. Click here to view our YouTube video on Scraping Planes Part 2: Sharpening and Care.